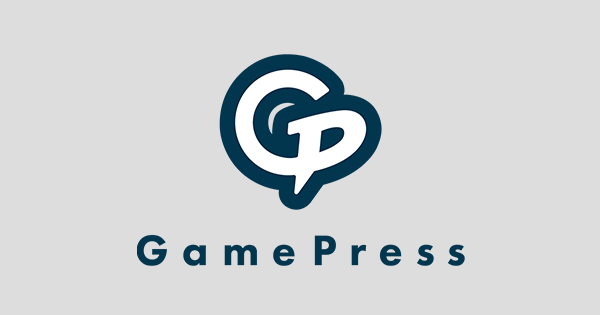 TONS of new text and structures relating the new the Pair Up mechanic, Aether Resort mode, and Allegiance Battles mode, and more. A cat warrior from Gallia, the home of the beast tribe of laguz. Though young, his king trusts him deeply. 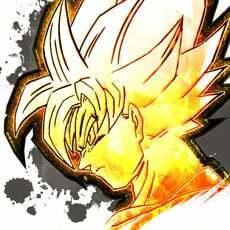 Considered the right hand of the future king. Appears in Fire Emblem: Radiant Dawn. A cat warrior from Gallia, the home of the beast tribe of laguz. Once had a distrust of all beorc, but that's slowly changing. Appears in Fire Emblem: Radiant Dawn. A tiger warrior from Gallia, the home of the beast tribe of laguz. A kind, peace-loving giant. Appears in Fire Emblem: Radiant Dawn. The lion ruler of Gallia, the home of the beast tribe of laguz. Uses his wisdom and courage to seek a path toward peace with the beorc. Appears in Fire Emblem: Radiant Dawn. A dracoknight and former Daein soldier. Naturally talented, but lazy. Often napping. Appears in Fire Emblem: Radiant Dawn. Refine: 連撃R赤緑 (Note: Continuous Attack - Red Green): If cavalry allies within 2 spaces use sword, lance, or axe and unit initiates combat, unit attacks twice. カザハナの麗刀: Effective against armored foes. ピエリの小槍: Accelerates Special trigger (cooldown count-1). 殺戮本能R (Note: "Slaughter Instinct", called "Bloodthirst" in Fire Emblem: Fates): At start of combat, if unit's HP < 100%, grants Atk/Spd/Def/Res+4 during combat. 柔なる戦猫の爪牙: Grants Def+3. If unit is within 2 spaces of an ally, grants Atk/Def+3 to unit and allies within 2 spaces of unit during combat. At start of turn, if unit is adjacent to only beast or dragon allies or if unit is not adjacent to any ally, unit transforms (otherwise, unit reverts). If unit transforms, grants Atk+2, and if unit initiates combat, inflicts Atk/Def-4 on foe during combat and foe cannot make a follow-up attack. 剛なる戦猫の爪牙: Grants Spd+3. If unit is not adjacent to an ally, grants Atk/Spd+6 during combat. At start of turn, if unit is adjacent to only beast or dragon allies or if unit is not adjacent to any ally, unit transforms (otherwise, unit reverts). If unit transforms, grants Atk+2, and if unit initiates combat, inflicts Atk/Def-4 on foe during combat and foe cannot make a follow-up attack. 虎戦士の爪牙: Grants Def+3. If a movement Assist skill (like Reposition, Shove, Pivot, etc.) 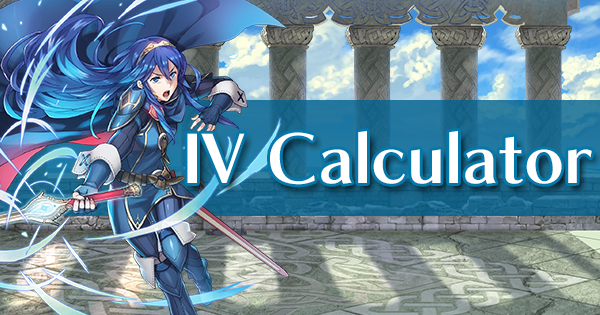 is used by unit or targets unit, inflicts Atk/Spd/Def/Res-4 on foes within 2 spaces of unit and target through their next actions after movement. At start of turn, if unit is adjacent to only beast or dragon allies or if unit is not adjacent to any ally, unit transforms (otherwise, unit reverts). If unit transforms, grants Atk+2 and deals +10 damage when Special triggers. 幼獣の化身・重装: At start of turn, if unit is adjacent to only beast or dragon allies or if unit is not adjacent to any ally, unit transforms (otherwise, unit reverts). If unit transforms, grants Atk+2, and unit can counterattack regardless of foe's range. 若獣の化身・重装: At start of turn, if unit is adjacent to only beast or dragon allies or if unit is not adjacent to any ally, unit transforms (otherwise, unit reverts). If unit transforms, grants Atk+2, and unit can counterattack regardless of foe's range. 成獣の化身・重装: At start of turn, if unit is adjacent to only beast or dragon allies or if unit is not adjacent to any ally, unit transforms (otherwise, unit reverts). If unit transforms, grants Atk+2, and unit can counterattack regardless of foe's range. 獅子王の爪牙: Grants Atk+3. If foe initiates combat, grants Atk/Spd/Def/Res+4 during combat. At start of turn, if unit is adjacent to only beast or dragon allies or if unit is not adjacent to any ally, unit transforms (otherwise, unit reverts). If unit transforms, grants Atk+2, and unit can counterattack regardless of foe's range. 遠距離防御4: If foe initiates combat and uses bow, dagger, magic, or staff, grants Def/Res+8 and neutralizes foe's bonuses (from skills like Fortify, Rally, etc.) during combat. 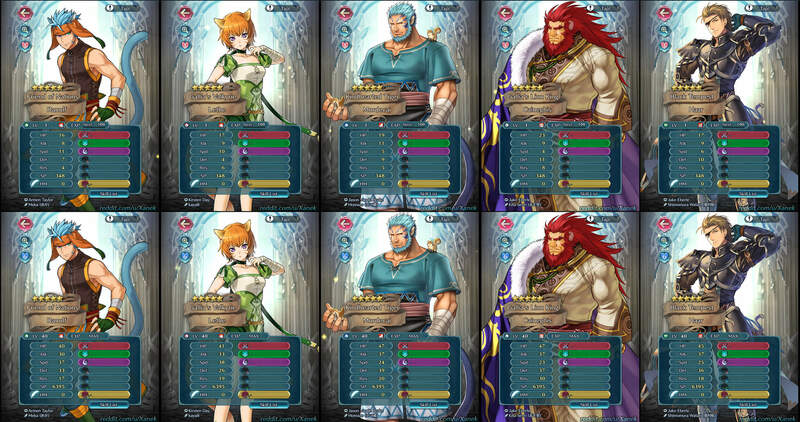 速さ守備の孤軍1: If unit is not adjacent to an ally, grants Spd/Def+2 during combat. 速さ守備の孤軍2: If unit is not adjacent to an ally, grants Spd/Def+4 during combat. 速さ守備の孤軍3: If unit is not adjacent to an ally, grants Spd/Def+6 during combat. 攻撃守備の応援＋: Grants Atk/Def+6 to target ally for 1 turn. 獣牙の額当て: Ranulf's favorite headband. Crafted from thick fabric, it protects the wearer's head quite well. 獣牙の額当て・極: This version of Ranulf's headband has very convincing fakes of his ears attached. 緑のリボン: Lethe's green ribbon. The bells sewn to it create a lovely sound when the wearer moves. 緑のリボン・極: Lethe's green ribbon. The ears that are attached to it look surprisingly realistic. 森の仲間: Squirrels that made friends with Mordecai. They cavort upon him as he naps in the forest. 森の仲間・極: Ducks attracted by Mordecai's gentle character. They approached of their own accord. ガリアの証: A headpiece bestowed by Caineghis. It's modeled on the royal insignia, and is quite heavy. ガリアの証・極: A headpiece bestowed by Caineghis. This shining symbol of the Lion King is said to grant strength to its wearer. 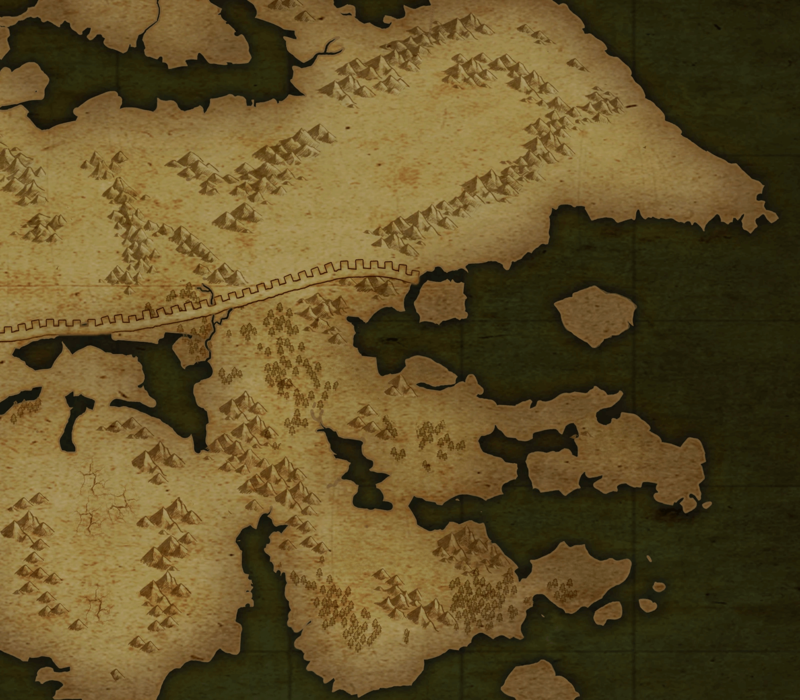 A new Grand Conquests that takes place in eastern Ylisse. Menu Text for Pair Up, Aether Resort, Allegiance Battles, etc. By tapping the Switch button, you can change to the unit's Pair Up partner. 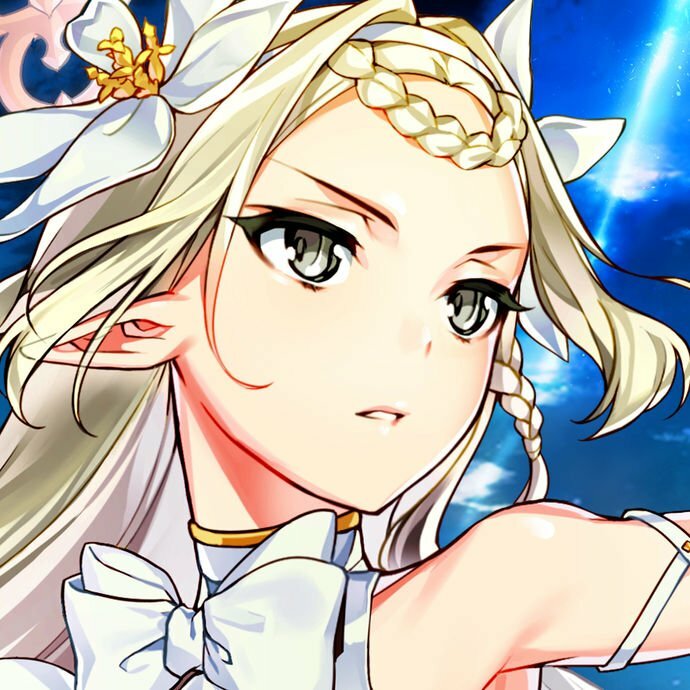 MID_CHAIN_ARENA_HELP_DIALOG_09_03: Blessing Bonus: Each time you send a Legendary Hero, Mythic Hero, or blessed Hero from the current season into battle, you'll get a score bonus of +1 when battle concludes. MID_SHOP_PREMIUM_CAPTION: You can use an Aether Resort Pass to double your daily R&R Affinity! MID_SHOP_PREMIUM_TEXT: With a pass, you'll receive double R&R Affinity the next seven times you get your daily R&R Affinity. 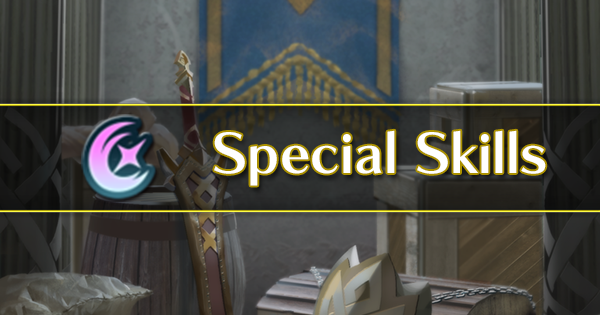 MID_SHOP_PREMIUM_WARNING: After using up your pass, you will be able to acquire a new one in order to keep receiving bonus R&R Affinity. MID_SHOP_PREMIUM_CONFIRM: $aUse $a0 Orb(s) to acquire an Aether Resort Pass? MID_SHOP_PREMIUM_COMPLETE: $aUsed $a0 Orb(s) to acquire an Aether Resort Pass. MID_SHOP_PREMIUM_CAUTION: Your daily R&R Affinity will be granted the first time you visit your Aether Resort each day. MID_SHOP_PREMIUM_CAPTION_VALID: You have an active Aether Resort Pass. MID_SHOP_PREMIUM_TEXT_VALID: Daily R&R Affinity will be doubled. MID_SHOP_PREMIUM_NOT_OPEN: To acquire a pass, you must first visit your Aether Resort. MID_SKYCASTLEHOLIDAY_OPEN: Your Aether Resort is now unlocked. MID_SKYCASTLEHOLIDAY_ADDUNIT_CONFIRM: $aIncrease resort limit to $a0 allies? MID_SKYCASTLEHOLIDAY_ADDUNIT_COMPLETE: Resort limit has been increased. MID_SKYCASTLEHOLIDAY_ERROR: Not enough R&R Affinity. MID_SKYCASTLEHOLIDAY_DIALOG_NEW_STOCK_ADDUNIT: $aThe resort limit is now $a0 units. MID_SKYCASTLEHOLIDAY_DIALOG_NEW_STOCK_ADDLIMIT: $aYou can now place up to $a0 structures. MID_SKYCASTLEHOLIDAY_ALLDELETE_CONFIRM: Remove all structures that are currently placed in your resort? MID_SKYCASTLEHOLIDAY_DAILY_POINT_TEXT: You will receive R&R Affinity the first time you visit Aether Resort each day. MID_SKYCASTLEHOLIDAY_FILLING_MISC_WARNING: $aYou cannot have more than one of the same structure. 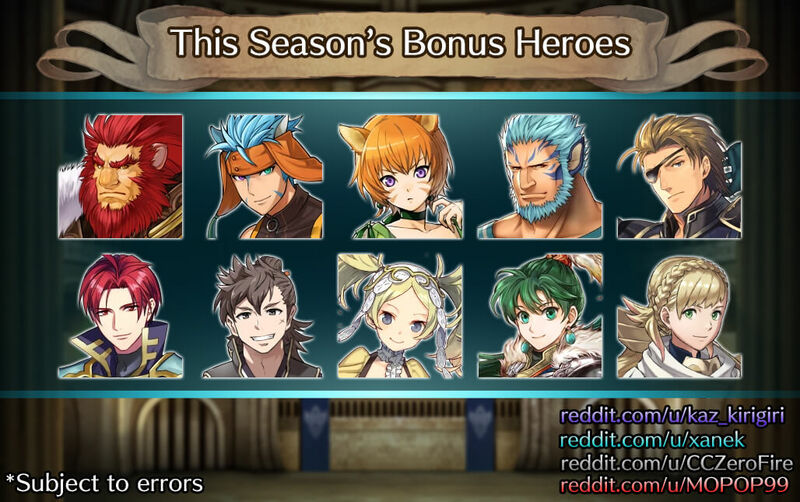 Any duplicates will be converted into $a0 Hero Feathers. MID_SKYCASTLEHOLIDAY_EXCHANGE_HELP: Choose a structure or amenity to build or improve. MID_SKYCASTLEHOLIDAY_EXCHANGE_CATEGORY_HELP_HOLIDAY: Structures where events take place. MID_SKYCASTLEHOLIDAY_EXCHANGE_CATEGORY_HELP_GOODS: Amenities that enrich certain events. MID_SKYCASTLEHOLIDAY_EXCHANGE_ADDFACILITY_COMPLETE: The structure has been built. MID_SKYCASTLEHOLIDAY_EXCHANGE_ADDFACILITY_WARNING: If a structure with the same name is built in Edit Aether Keep, it will be added here as well. MID_SKYCASTLEHOLIDAY_EXCHANGE_ADDGOODS_WARNING01: $aWill enrich events that occur in $a0 structures. MID_SKYCASTLEHOLIDAY_EXCHANGE_ADDGOODS_COMPLETE: The amenity has been built. MID_SKYCASTLEHOLIDAY_EXCHANGE_ADDFGOODS_WARNING02: $aTo see its effect, check events in $a0 structures. MID_SKYCASTLEHOLIDAY_EXCHANGE_EMPTY: There are no structures to build or improve. MID_SKYCASTLEHOLIDAY_SELECTFACILITY_HELP: Modify the placement of your structures. MID_SKYCASTLEHOLIDAY_EDIT_LIMIT_OVER: You have exceeded the limit of structures you can place. Do you want to use R&R Affinity to raise the place limit? MID_SKYCASTLEHOLIDAY_EDIT_ADDLIMIT_TEXT: $aIncrease the place limit to $a0 structures? MID_SKYCASTLEHOLIDAY_EDIT_ADDLIMIT_WARNING: $aThe maximum place limit is $a0. MID_SKYCASTLEHOLIDAY_EDIT_ADDLIMIT_COMPLETE: The place limit has increased. MID_SKYCASTLE_EDIT_FACILITY_CATEGORY_HELP_OFSDFS: Structures that support offense or defense. MID_SKYCASTLEHOLIDAY_INVITATION_HELP: Select Heroes to invite to the resort map. MID_SKYCASTLEHOLIDAY_INVITATION_FRIEND_RELOAD_CONFIRM: Would you like to update your friends' allies to their most current state? MID_SKYCASTLEHOLIDAY_INVITATION_FRIEND_RELOAD_WARNING: ・ This function will also update friends in Edit Brigades. ・ If this function is used in Edit Brigades, friends will also be updated here. MID_SKYCASTLEHOLIDAY_WEAPONSHOP_WEAPON_OWNER_CAUTION: Only the owner can equip it. MID_SKYCASTLEHOLIDAY_WEAPONSHOP_WEAPON_OWNER_5: $aWeapon Owners: $a0, $a1, $a2, $a3, etc. MID_SKYCASTLEHOLIDAY_EVENTTEXT_WEAPONSHOP_INTRO_01: After having some fun looking at weapons, this one seems great! MID_SKYCASTLEHOLIDAY_EVENTTEXT_WEAPONSHOP_INTRO_02: After sorting through some exciting weapons, this one seems to stand out as a stylish one! 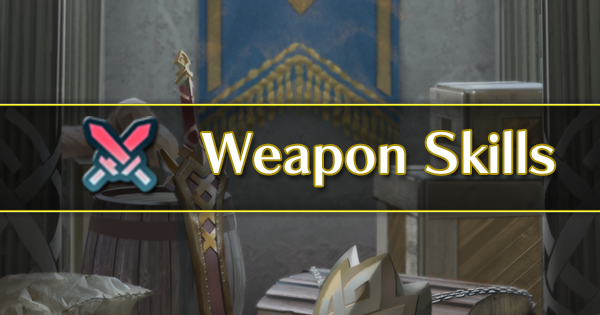 MID_SKYCASTLEHOLIDAY_EVENTTEXT_WEAPONSHOP_INTRO_03: After a nice, quiet time perusing the weapon selection, this one seems like a great find! MID_SKYCASTLEHOLIDAY_EVENTTEXT_WEAPONSHOP_INTRO_04: After close examination...seems like this weapon might not be as stylish as expected. MID_SKYCASTLEHOLIDAY_EVENTTEXT_WEAPONSHOP_INTRO_05: After thorough inspection...it seems this weapon is a crowd-pleaser! MID_SKYCASTLEHOLIDAY_EVENTTEXT_WEAPONSHOP_INTRO_06: After spending some time seriously considering weapons, this one seems to have a nice balance to it! MID_SKYCASTLEHOLIDAY_EVENTTEXT_WEAPONSHOP_INTRO_08: After browsing weapons together, this one really drew attention! MID_SKYCASTLEHOLIDAY_EVENTTEXT_WEAPONSHOP_INTRO_10: After showing off such a weapon, everyone was pleasantly surprised! MID_SKYCASTLEHOLIDAY_EVENTTEXT_ACCESSORYSHOP_INTRO_01: A safe and reliable look. Somewhat orthodox in style. MID_SKYCASTLEHOLIDAY_EVENTTEXT_ACCESSORYSHOP_INTRO_02: An eye-catching look. Simply captivating in style! MID_SKYCASTLEHOLIDAY_EVENTTEXT_ACCESSORYSHOP_INTRO_03: A transcendent look. Truly ahead of its time! MID_SKYCASTLEHOLIDAY_EVENTTEXT_ACCESSORYSHOP_INTRO_04: It seems the world of fashion is not ready. MID_SKYCASTLEHOLIDAY_EVENTTEXT_ACCESSORYSHOP_INTRO_05: It seems this is just the type of bold, jaw-dropping look the fashion world has been waiting for! MID_SKYCASTLEHOLIDAY_EVENTTEXT_ACCESSORYSHOP_INTRO_06: A well-arranged look. Creatively coordinated. MID_SKYCASTLEHOLIDAY_EVENTTEXT_ACCESSORYSHOP_INTRO_07: An naturalistic look. Instinctively stylish! MID_SKYCASTLEHOLIDAY_EVENTTEXT_ACCESSORYSHOP_INTRO_08: A soothing look. A style you can't help but love! MID_SKYCASTLEHOLIDAY_EVENTTEXT_ACCESSORYSHOP_INTRO_10: It seems this look is not just trendy... it's the peak of fashion! MID_SKYCASTLEHOLIDAY_EVENTTEXT_ACCESSORYSHOP_WEEKEND_01: A new page in the annals of style! This look has changed the face of fashion forever. MID_SKYCASTLEHOLIDAY_EVENTTEXT_SPA_INTRO_01: An open-air bath with just the right heat. The ultimate in comfort and carefree relaxation. MID_SKYCASTLEHOLIDAY_EVENTTEXT_SPA_INTRO_02: An unusual, otherworldly hot spring blanketed with a layer of mysterious, heavenly steam. MID_SKYCASTLEHOLIDAY_EVENTTEXT_SPA_INTRO_03: A popular natural spring, known for the magnificent view from its bath. MID_SKYCASTLEHOLIDAY_EVENTTEXT_SPA_INTRO_04: A grand and spacious hot spring where etiquette must be observed while relaxing. MID_SKYCASTLEHOLIDAY_EVENTTEXT_SPA_INTRO_05: A hot spring for any and every occasion, never growing stale. MID_SKYCASTLEHOLIDAY_EVENTTEXT_SPA_INTRO_06: A spring rumored to help soothe aching bones and ease stiff joints. MID_SKYCASTLEHOLIDAY_EVENTTEXT_SPA_INTRO_07: A spring rumored to warm bathers to their cores, reducing the need for movement-hindering layers. MID_SKYCASTLEHOLIDAY_EVENTTEXT_SPA_INTRO_08: A spring rumored to soften the skin of even the most grizzled veterans. MID_SKYCASTLEHOLIDAY_EVENTTEXT_SPA_INTRO_09: A spring rumored to erase battle scars and smooth wrinkled skin. MID_SKYCASTLEHOLIDAY_EVENTTEXT_SPA_INTRO_10: A spring that warms the hearts of all who bathe together in its waters. MID_SKYCASTLEHOLIDAY_EVENTTEXT_SPA_WEEKEND_01: A spring that brings good luck under the stars. Something great will surely happen soon! MID_SKYCASTLEHOLIDAY_EVENTTEXT_INN_INTRO_02: After a hard day on the battlefield, everyone is sleeping soundly. MID_SKYCASTLEHOLIDAY_EVENTTEXT_INN_INTRO_03: After a fun day spent training, everyone is sleeping soundly. MID_SKYCASTLEHOLIDAY_EVENTTEXT_INN_INTRO_04: A night so quiet, the noise of the day is now difficult to imagine. MID_SKYCASTLEHOLIDAY_EVENTTEXT_INN_INTRO_05: Yum! A delicious dream! MID_SKYCASTLEHOLIDAY_EVENTTEXT_INN_INTRO_06: Nice! A dream of friendship! MID_SKYCASTLEHOLIDAY_EVENTTEXT_INN_INTRO_08: Uh-oh... A dream about work. MID_SKYCASTLEHOLIDAY_EVENTTEXT_INN_INTRO_09: Yay! A flying dream! MID_SKYCASTLEHOLIDAY_EVENTTEXT_INN_INTRO_10: Aww... A lovely dream. MID_SKYCASTLEHOLIDAY_EVENTTEXT_INN_INTRO_11: Huzzah! A dream of victory! MID_SKYCASTLEHOLIDAY_EVENTTEXT_INN_WEEKEND_01: Incredible! It's a dream come true! 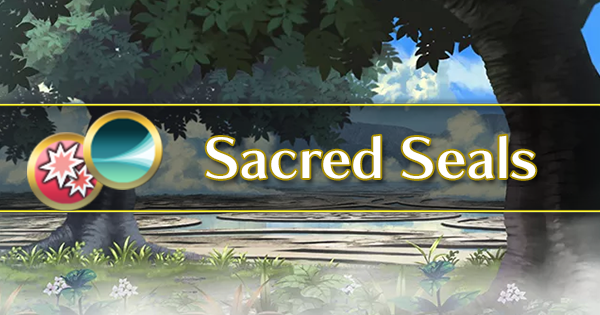 MID_SCF_ギュミル泉_HOLIDAYHELP: A spring that bubbles with the Aether used to battle in Aether Raids. MID_SCF_ギュミル水瓶_HOLIDAYHELP: Amphorae that store the Aether provided by the Aether Fountain. MID_SCF_砦_HOLIDAYHELP: A sturdy fortress, a must-have for any keep. MID_SCF_雷_HOLIDAYHELP: A tower that can call down lightning by amplifying and directing electricity. MID_SCF_軍師_HOLIDAYHELP: A room for strategists, complete with all the necessities for battle planning and subterfuge. MID_SCF_回復_HOLIDAYHELP: A mystical tower that radiates a soothing aura. MID_SCF_対歩行_HOLIDAYHELP: A training facility focused on gaining advantage over infantry foes. MID_SCF_対重装_HOLIDAYHELP: A training facility focused on gaining advantage over armored foes. MID_SCF_対騎馬_HOLIDAYHELP: A training facility focused on gaining advantage over cavalry foes. MID_SCF_対飛行_HOLIDAYHELP: A training facility focused on gaining advantage over flying foes. MID_SCF_恐慌_HOLIDAYHELP: An eerie manor that is best avoided after dark. MID_SCF_投石_HOLIDAYHELP: A weapon that targets and hurls rocks at other structures. MID_SCF_落雷の罠A_HOLIDAYHELP: A trap that, when stepped on by a foe, calls down lightning to strike the surrounding area. MID_SCF_重圧の罠A_HOLIDAYHELP: A trap that, when stepped on by a foe, weighs down those in the surrounding area. MID_SCF_落雷の罠ダミー_HOLIDAYHELP: A fake trap that is indistinguishable from a real trap. MID_SCF_重圧の罠ダミー_HOLIDAYHELP: A fake trap that is indistinguishable from a real trap. MID_SCF_脱出_HOLIDAYHELP: A rope ladder used to escape the battlefield in an instant. MID_SCF_武器屋_HELP: An R&R structure for your Aether Resort. MID_SCF_アクセサリー屋_HELP: An R&R structure for your Aether Resort. MID_SCF_宿屋_HELP: An R&R structure for your Aether Resort. MID_SCF_温泉_HELP: An R&R structure for your Aether Resort. MID_SCF_温泉_HOLIDAYHELP: A structure where Heroes can relax in a nice hot spring. Apparently it is a natural spring too, which is especially incredible considering it is located within a flying island in the sky. MID_SCH_黄色いアヒル_HOLIDAYHELP: A duck-shaped toy that floats on water. The way it bobs up and down is very relaxing. MID_SCH_桃色のアヒル_HOLIDAYHELP: A duck-shaped toy that floats on water. The way it bobs up and down is very soothing. MID_SKYCASTLEHOLIDAY_TOP_HELP_DIALOG_00: R&R Affinity earns Aether Stones! MID_SKYCASTLEHOLIDAY_TOP_HELP_DIALOG_01: Aether Resort: A map where you can freely place Heroes and structures—and watch as they interact with each other. MID_SKYCASTLEHOLIDAY_TOP_HELP_DIALOG_02: R&R Affinity: ・ A resource used to expand the features of your Aether Resort. 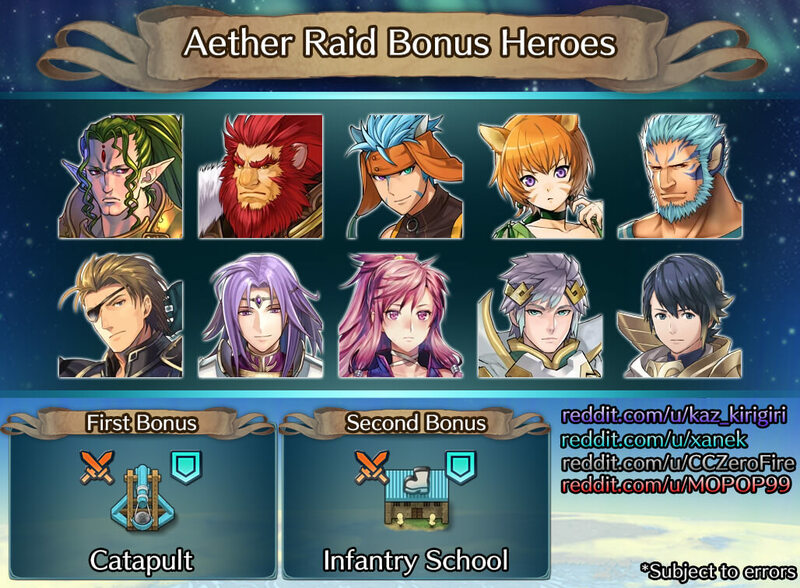 You will gain one Aether Stone for every 10 R&R Affinity used. ・ Once per day, you can gain R&R Affinity by visiting your Aether Resort. MID_SKYCASTLEHOLIDAY_TOP_HELP_DIALOG_03: Aether Resort Pass: With one of these, you will receive twice as much R&R Affinity from your first daily visit to your Aether Resort for seven daily visits. MID_SKYCASTLEHOLIDAY_TOP_HELP_DIALOG_05: Resort Events: ・Tap a structure or drag a Hero onto a structure to start an event. ・ Any event started by a Hero being dragged onto a structure is guaranteed to include that Hero. MID_SKYCASTLEHOLIDAY_ADDUNIT_HELP_DIALOG_00: Change Heroes: You can choose Heroes to invite to your resort from your allies or from your friends' allies. MID_SKYCASTLEHOLIDAY_ADDUNIT_HELP_DIALOG_01: Raising the Resort Limit: You can use R&R Affinity to raise the limit on the number of Heroes you can invite to your resort. MID_SKYCASTLEHOLIDAY_ADDUNIT_HELP_DIALOG_02: Random: If you set a slot to Random, a random Hero will be invited to your Aether Resort from among your allies. MID_SKYCASTLEHOLIDAY_EDIT_HELP_DIALOG_00: Custom-design your resort map! MID_SKYCASTLEHOLIDAY_SELECTFACILITY_HELP_DIALOG_00: Place: You can place structures you have built on the map, even if one or more structures with the same name have already been placed. MID_SKYCASTLEHOLIDAY_SELECTFACILITY_HELP_DIALOG_01: Place Limit: You can use R&R Affinity to raise the place limit. MID_SKYCASTLEHOLIDAY_ACCESSORYSHOP_HELP_DIALOG_01: Any accessory switching done in this structure does not affect the Hero's actual equipped accessory. MID_SKYCASTLEHOLIDAY_INN_HELP_DIALOG_00: Should you tap a sleeping Hero? MID_SKYCASTLE_EDIT_FACILITY_CATEGORY_HELP_HOLIDAY: Resort structures. Can also be used as decor. MID_SKYCASTLE_DIALOG_BATTLE_CONFIRM_BONUS_FACILITY: $aStructure has not been placed: $a0 Do you want to proceed anyway? MID_SKYCASTLE_DIALOG_BATTLE_CONFIRM_BONUS_FACILITY_WARNING: If placed, grants level+1 to Fortress (O). MID_UNIT_EDIT_DOUBLE_HELP_DIALOG_00: Fight together as a pair! MID_UNIT_EDIT_DOUBLE_HELP_DIALOG_01: Pair Up: Legendary Heroes who have the Pair Up ability can band together in a pair with an ally. When the Legendary Hero who is the lead in a pair is deployed into battle and their cohort is not, the two will join the battle as a group. MID_UNIT_EDIT_DOUBLE_HELP_DIALOG_03: Pair Up Effects 1: Allies who are deployed as a pair will have boosts granted to their stats. These boosts are based on their partner's stats. Note: Values are detailed on the next help page. MID_UNIT_EDIT_DOUBLE_HELP_DIALOG_04: Pair Up Bonuses: Atk: (Partner's Atk - 25) / 10 Spd: (Partner's Spd - 10) / 10 Def: (Partner's Def - 10) / 10 Res: (Partner's Res - 10) / 10 Note: Maximum bonus of +4 to each stat, rounded down. MID_UNIT_EDIT_DOUBLE_HELP_DIALOG_05: Pair Up Effects 2: Switch The lead and cohort allies in a Pair Up unit can be swapped by tapping the Switch button. 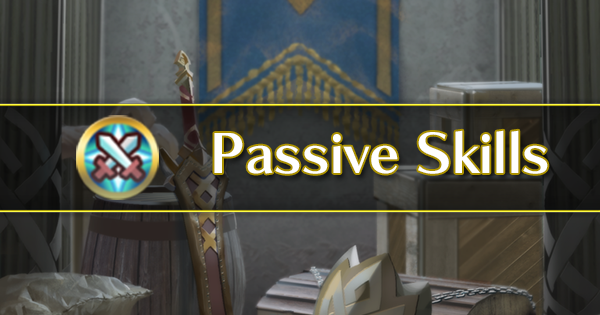 This button remains active even after the unit has moved. MID_UNIT_EDIT_DOUBLE_HELP_DIALOG_06: More Information: If either of the allies in a Pair Up unit have the Sing or Dance skill, then Sing or Dance cannot be used on that Pair Up unit. MID_UNIT_EDIT_DOUBLE_HELP_DIALOG_07: More Information: ・ When deployed, the cohort cannot grant or receive Legendary Effects. ・ Only the lead receives EXP, SP, and HM. ・ A cohort's Support Effects will not activate. MID_DOUBLE_TUTORIAL_DIALOG_00: Tap an ally, then tap Switch. MID_UNIT_EDIT_SKYCASTLE_OFFENSE_HELP_DIALOG_06: Seasonal Parties 1: You will have the option to set raiding parties to be used for Astra and Light seasons. These parties will be displayed during those seasons. Note: This option becomes available after the Aether Raids tutorial. MID_UNIT_EDIT_SKYCASTLE_OFFENSE_HELP_DIALOG_07: Seasonal Parties 2: During seasonal party formation, the Maximum Lift shown refers to either the current season or subsequent season, depending on what party is viewed. Note: Outside of a season, the Maximum Lift for the season after the next is not shown. MID_UNIT_EDIT_SKYCASTLE_DIALOG_OFFENSE_SEASONALTROOP_TEXT: Switch to seasonal raiding party formation? MID_UNIT_EDIT_SKYCASTLE_DIALOG_OFFENSE_SEASONALTROOP_WARNING: ・ The raiding party will switch automatically when the season switches to Light or Astra. MID_UNIT_EDIT_SKYCASTLE_DIALOG_OFFENSE_COMMONTROOP_TEXT: Switch to all-season raiding party formation? MID_UNIT_EDIT_SKYCASTLE_DIALOG_OFFENSE_COMMONTROOP_WARNING: ・ The suggested parties will be the same season to season. Note: The raiding parties formed for Light season will be used as the shared raiding parties. MID_UNIT_EDIT_DOUBLE_HELP1: Choose the ally to be the lead. MID_UNIT_EDIT_DOUBLE_HELP2: Choose the ally to be the cohort. MID_UNIT_EDIT_DOUBLE_DIALOG_CONFIRM: $aPairing up allies will boost their stats when they're deployed. Lead: $a0 Cohort: $a1 Do you want to form this pair? MID_UNIT_EDIT_DOUBLE_DIALOG_WARNING: A Hero can only pair up with one ally at a time. 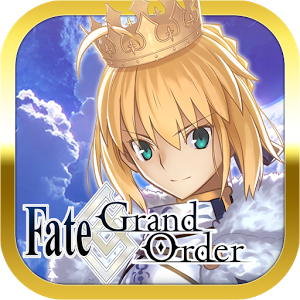 Pairs can be deployed in Main Story, Paralogues, Training Tower, and Allegiance Battles. MID_UNIT_EDIT_DOUBLE_DIALOG_RESET: $a$a0 and $a1 Disband this pairing? MID_UNIT_EDIT_DOUBLE_DIALOG_SUCCESS: Pair Up change confirmed. MID_UNIT_EDIT_DOUBLE_EFFECT: When the Legendary Hero who is the lead in a pair is deployed into battle and their cohort is not, the two will join the battle as a group. 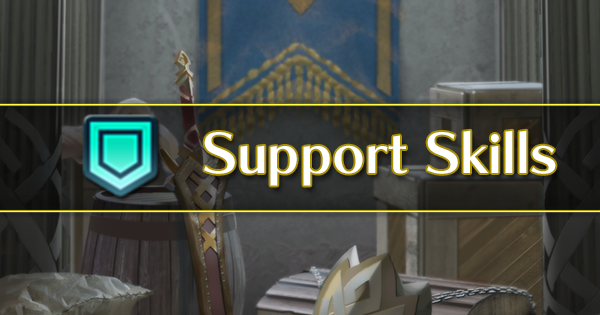 MID_UNIT_EDIT_RELIANCE_HELP_DIALOG_07: Support Effect Limitations: Support effects are not granted in defensive battles in the Arena or defensive battles in Aether Raids. 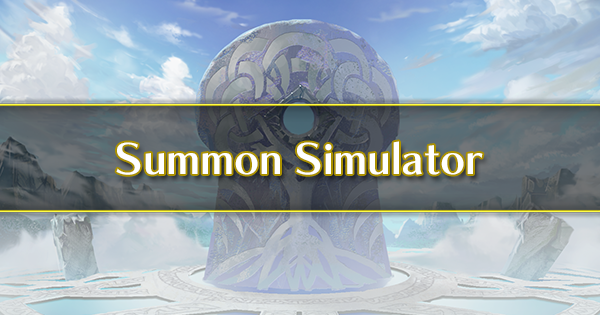 MID_UNIT_EDIT_RELIANCE_PLAYER_HELP_DIALOG_06: Summoner Support Limitations: Summoner support effects are not granted in defensive battles in the Arena or defensive battles in Aether Raids. Defeat a foe with Raven. Defeat a foe with Leon. Defeat an enemy that is level 20 or higher with Raven. Defeat an enemy that is level 20 or higher with Leon. Defeat an enemy that is level 20 or higher with Eliwood: Knight of Lycia. Defeat an enemy that is level 35 or higher with Raven. Defeat an enemy that is level 35 or higher with Leon. Defeat an enemy that is level 35 or higher with Eliwood: Knight of Lycia. 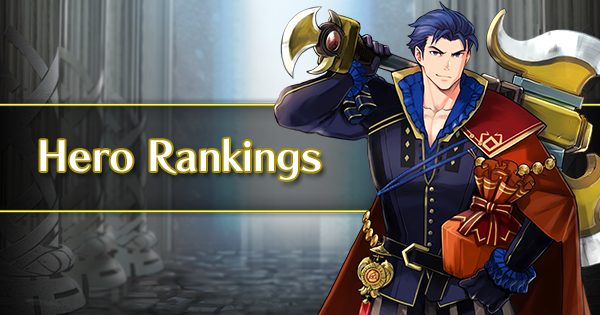 Clear the Bound Hero Battle against Ephraim & Myrrh with Alfonse: Prince of Askr on your team. 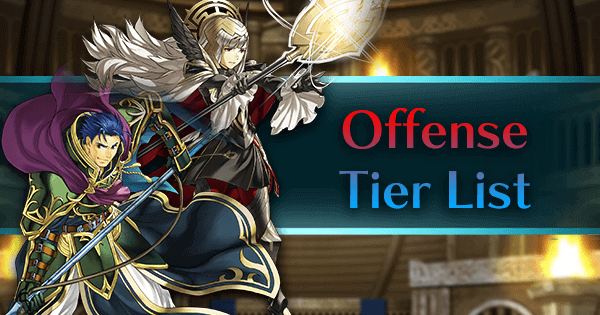 Clear the Bound Hero Battle against Ephraim & Myrrh on Lunatic or higher difficulty with Anna on your team. Defeat Myrrh: Great Dragon at level 40 or higher with Alfonse: Prince of Askr. 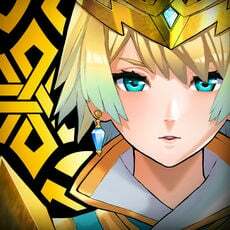 Defeat Ephraim: Restoration Lord at level 40 or higher with Anna. 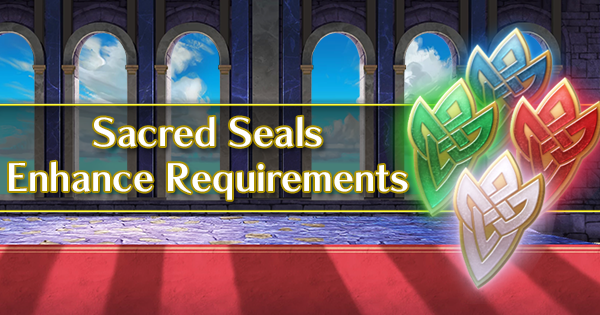 Clear the Bound Hero Battle against Ephraim & Myrrh on Lunatic or higher difficulty using an all-armored team.